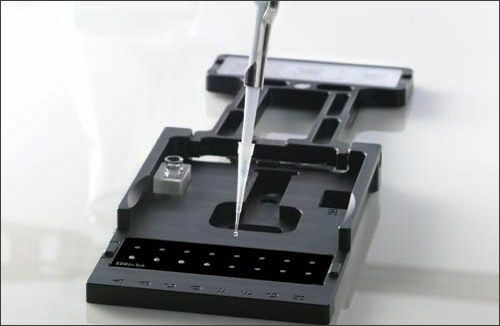 The determination of RNA expression levels is an important component of cell biology research. Unfortunately many techniques are laborious requiring extensive sample preparation and normally performed on cellular lysates. 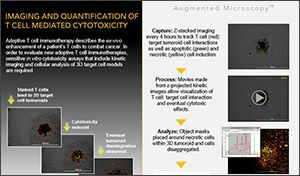 Here we describe the use of the Cytation™ 3 Cell Imaging Multi-Mode Reader in conjunction with SmartFlare™ probes to assess RNA expression in live cells through automated fluorescence microscopy. The determination of intracellular RNA levels is a critical component in elucidating the cellular responses of living cells to external stimuli. 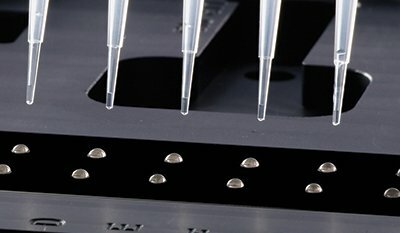 Many of the techniques traditionally used for RNA quantitation involve transfection, laborious sample preparation and RNA amplification, which can preclude large sample numbers. 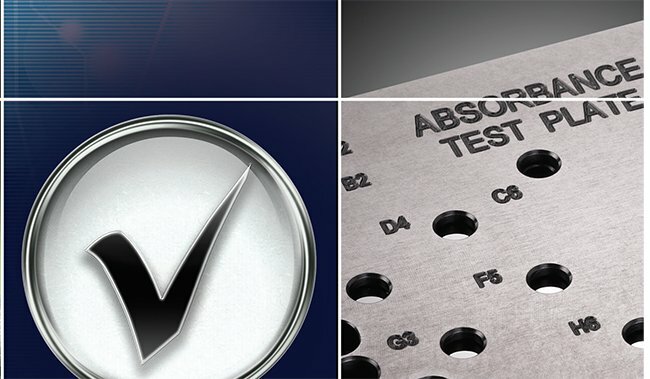 However, disease directed research, which often involves the screening of compound libraries, relies on the ability to rapidly make assay determinations on large numbers of samples. At the same time phenotypic information is also desired to assess the true cellular response. Towards that end, having multiple fluorescent probes capable of simultaneously detecting different cellular RNAs in live cells are of particular importance. SmartFlare™ RNA detection probes consist of a gold nanoparticle conjugated to multiple copies of a double-stranded oligonucleotide. One of the two strands (capture strand) is covalently linked to the gold nanoparticle, while the other strand (reporter strand), which is shorter in length but complimentary to the capture strand, has an attached fluorophore (CY3 or CY5) that is quenched by its proximity to the gold nanoparticle core. When the SmartFlare™ nanoparticle comes in contact with its specific RNA-target, the RNA binds to its complimentary capture strand and displaces the reporter strand. The free reporter strand, whose fluorophore is no longer quenched, can be detected via fluorescence measurement. The fluorescence intensity is proportional to the amount of target RNA present in the cell. Figure 1. Molecular Mechanism of SmartFlare™ RNA Detection Probe. 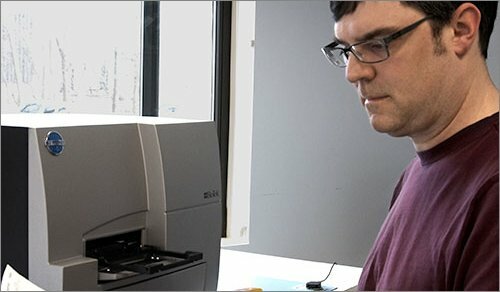 In this application note we will demonstrate the utility of an imaging multi-mode microplate reader that provided both PMT-based whole-well detection and CCD-based digital inverted fluorescence microscopy for quantitative live cell detection of RNA expression using SmartFlare™ RNA Detection Probes that incorporate both CY3 and CY5 fluorescence dyes for multiplexing applications. 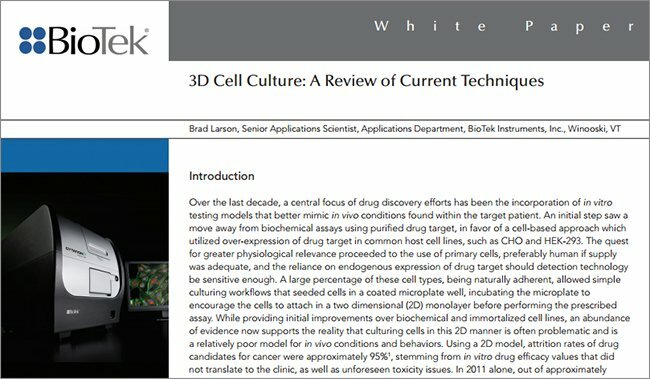 HeLa, MCF-7 and SK-BR-3 cell cultures were grown in Advanced DMEM (Life Technologies) supplemented with 10% FBS, 2 mM glutamine and maintained at 37°C, 5% CO2 in a humidified incubator. Cultures were routinely trypsinized (0.05% Trypsin-EDTA) at 80% confluency. 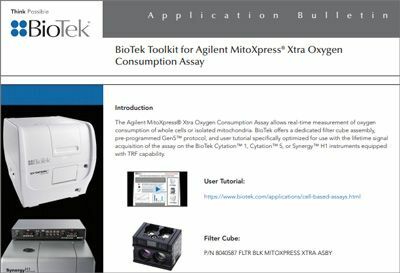 For experiments, cells were plated at 30,000 per well (200 μL in a 96-well microplate) using the peripump dispenser of the MultiFlo™ Microplate Dispenser (BioTek Instruments). 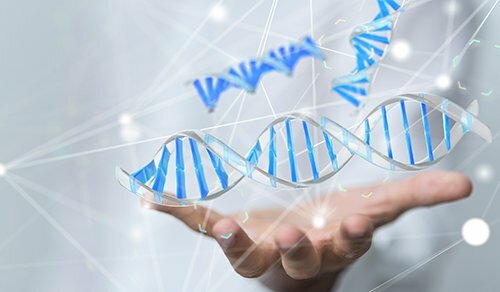 Lyophilized SmartFlare™ RNA Detection probes were rehydrated by the addition of 50 μL of sterile nucleasefree water to each vial. The hydrated stock solutions were maintained at room temperature protected from light until needed. Immediately prior to use, stock solutions of SmartFlare™ reagents were diluted 1:20 in sterile phosphate buffered saline (PBS). After dilution, 4 μL aliquots of the desired SmartFlare™ reagent were added to each well of the 96-well microplate. Just prior to imaging, the cells nuclei were stained with Hoechst 33342 (bisBenzimide) solution (Sigma Aldrich cat.# 14533). A stock solution (35mM) Hoechst 33342 solution in DMSO was diluted in phenol red free DMEM/F12 media to 15 μg/mL to make 3x working solution immediately before use. To each well of the microplate 100 μL of the working solution was added and the plate incubated at 37°C 5% CO2 at a final concentration of 5 μg/mL for 15 minutes. 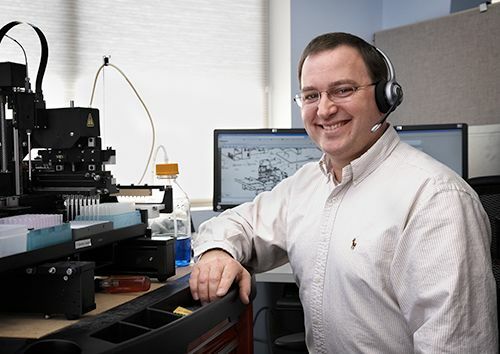 Whole well PMT-based fluorescence intensity measurements were made using a Cytation™ 3 Cell Imaging Multi-Mode Reader. All measurements were made from the bottom using twin dual grating monochromators. Cellular CY3 fluorescence was determined with an excitation of 545 nm and an emission 575 nm, CY5 was determined with at 635 nm and 670 nm excitation and emission wavelengths respectively. In order to reduce fluorescence variation as a result of intra-well cell density variation all wells were measured using the mean of a 3 x 3 area scan array. 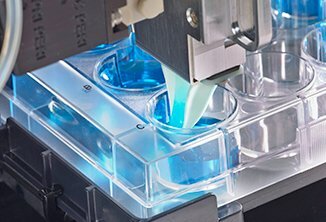 Cells were imaged using a Cytation 3 Cell Imaging Multi- Mode Reader (BioTek Instruments) configured with DAPI, GFP and RFP and CY5 filter cubes. 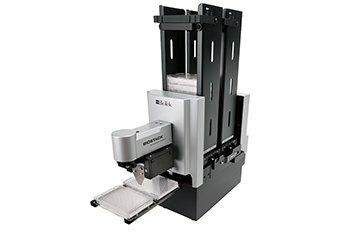 The Imaging microplate reader uses a combination of LED light sources in conjunction with band pass filters to provide appropriate wavelength light. The DAPI light cube is configured with a 357/50 excitation filter and a 447/60 emission filter; the GFP light cube uses a 469/35 excitation and a 525/39 emission filters; the RFP light cube, which was used for CY3 imaging, uses a 531/40 excitation and 593/40 emission filters and the CY5 cube uses a 628/40 excitation and a 685/40 emission filters. Exposure settings were automatically determined for each color independently on a defined control well, while focus was provided automatically on each well using the DAPI signal. 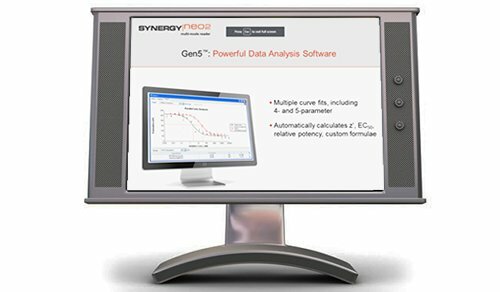 The reader was controlled and data captured and analyzed using Gen5™ Data Analysis Software. Initial experiments involving the use of SmartFlare™ control reagents demonstrate the ability of the Cytation 3 to identify positive fluorescence signal and discriminate it from a negative result. The Uptake control has an unquenched CY3 moiety tethered to the gold nanoparticle and subsequently is always “on” inside the cell, while the scramble probe does not recognize any sequence within the cell and is constitutively quenched or “off”. As demonstrated in Figure 2, the CY3-Uptake control is markedly more fluorescent than a CY3- Scrambled control after 16 hours. The CY3-18S probe recognizes cellular 18S RNA, present in all cells is also highly fluorescent as expected. Figure 2. CY3 Probe comparisons. HeLa cells treated with CY3-Uptake, CY3-Scramble, or CY3-18S probes were imaged using the Cytation 3 at the same exposure settings. The SmartFlare™ probes are rapidly and actively endocytosed by live cells without the need for any transfection reagents. Using a CY3-labeled probe for the housekeeping gene glyceraldehyde 3-phosphate dehydrogenase (GAPDH) an increase in CY3 fluorescence signal can be observed in live MCF-7 cells. These cells, stained with Hoechst 33342 to identify nuclei, were monitored using fluorescence imaging over time at 37°C and 5% CO2. As shown in Figure 3, when the same well is imaged the number and the intensity of cells with red CY3 fluorescence increases over time. Figure 3. 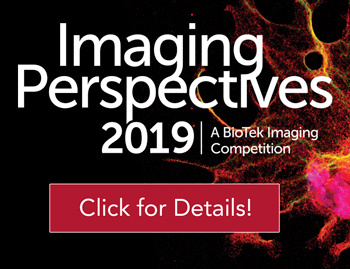 Live Cell Imaging Time Course. MCF-7 cells were seeded at 15,000 cells per well and grown overnight. The following day cells were stained with 0.5 μg/mL Hoechst 33342 for 15 min at 37°C, treated with 4 μL CY3-GAPDH reagent and immediately imaged kinetically with the 20x objective using the DAPI and CY3 LED cubes and the images overlaid. Scale bar indicates 100 μm. These data are corroborated by image based fluorescence signal analysis. When the mean CY3 fluorescence signal from images of multiple wells made over time are averaged and plotted one observes a steady increase in fluorescent signal before reaching a maximal value at about 8-10 hours (Figure 4). Figure 4. Increase in CY3 Fluorescence in live MCF-7 cells. MCF- 7 cells were seeded at 15,000 cells per well and grown overnight. The following day cells were stained with 5 μg/mL Hoechst 33342 dye for 15 min at 37°C, treated with 4 μL CY3-GAPDH SmartFlare™ probes and immediately imaged every 30 minutes for 12 hours with the 20x objective using the DAPI and CY3 LED cube. The mean pixel intensity value of each image was recorded. Data point represents the average of three wells. SmartFlare™ probe fluorescence is observed primarily in the cytoplasm. When composite images of Hoechst 33342 dye staining and SmartFlare CY5 signal in live HeLa cells are examined the two fluorescent signals are located in distinctly different cellular locations (Figure 5). Hoechst 33342, which is rendered in blue, tightly binds DNA and is a very effectively identifies and outlines the nuclei of live cells . The CY5 signal, rendered in red, is observed primarily in the cytoplasmic region of the cell; with little signal in what has been identified as the nucleus with the Hoechst 33342 dye. Figure 5. Cytoplasmic Localization of SmartFlare™ Signal. HeLa cells were seeded at 30,000 cells per well and treated with 4 μL CY5-Uptake reagent. After 16 hour incubation cells were stained with 5μg/mL Hoechst 33342 for 15 min at 37°C cells were imaged with the 20x objective using the DAPI and CY5 LED cube and the images overlaid. Images in the center and on the left have DAPI and CY5 data removed from the overlay respectively. Scale bar indicates 100 μm. Imaging of bright fluorescent objects often can result in bleed-over to other detection channels making multiplexing difficult or impossible. When a CY5-labeled SmartFlare probe to GAPDH is imaged in HeLa cells expressing large amounts of GAPDH RNA, the fidelity of the CY3 and CY5 channels is demonstrated. As shown in Figure 6 when composite images are disassociated very little fluorescence is observed in the CY3 channel despite the large amount of CY5 fluorescence. Thus detection of each fluorescent channel is distinct and allows for dual labeled target detection within the same cell wihtout bleed-over. Figure 6. 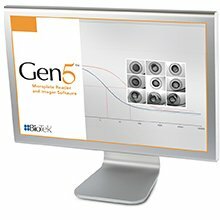 Live Cell Imaging of HeLa Cells Treated with SmartFlare™ CY5-GAPDH Reagent. HeLa cells were seeded at 30,000 cells per well and treated with 4 μL of 20x CY5-GAPDH reagent into 196 μL of media. After 16 hour incubation cells were stained with 5μg/mL Hoechst 33342 for 15 min at 37°C cells were imaged with the 20x objective using the DAPI and RFP and CY5 LED cubes and the images overlaid. Scale bar indicates 100 μm. In many instances the use of standard whole-well PMT based determinations can identify cellular fluorescence. As shown in Figure 7, there is virtually no cross over fluorescence between the CY3 and CY5 measurements using uptake control probes. With some experiments, very rapid PMT-based measurements may be used. Figure 7. CY3 and CY5 Probe Plate Read Signal Independence. Uptake probes for both CY3 and CY5 were added to HeLa cells and the fluorescence measured using conventional top read whole well detection. Quantitative cellular image analysis can be performed on images made from live cells treated with different SmartFlare probes and stained with Hoechst 33342. Using fluorescence intensity thresholds and size (max and min) limitations specific objects, such as cells, can be identified. Because all mammalian cells have nuclei, Hoechst staining can be used as a means to identify total cell number. The number of cells identified as positive for the CY3 or CY5 labeled SmartFlare RNA probe can also be determined. By expressing the CY3 or CY5 data as a fraction of the total number cell, variations in cell density within the well and seeding discrepancies can be controlled for. Figure 8. Live cell Image Analysis of cells treated with various concentrations of serum. HeLa cells were seeded at 30,000 cells per well and treated with CY3-18S or CY5-GAPDH reagent. After a 16 hour incubation cells were stained with 5μg/mL Hoechst 33342 for 15 min at 37°C cells were imaged with the 4x and 20x objective using the DAPI and CY3 and CY5 LED cubes. Image object and subpopulation analysis were performed and the fraction of CY3 (18S) and CY5 (GAPDH) positive cells plotted as a function of serum concentration. CY3 and CY5 positive cells were identified using threshold values of 3,000 and 7,500 respectively. 20X cell images of DAPI and either CY3 or CY5 images overlaid from indicated serum levels are shown. Scale bar indicates 100 μm. 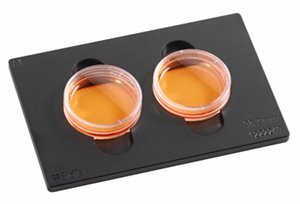 Serum supplementation of tissue culture media is standard practice for many different cell lines . 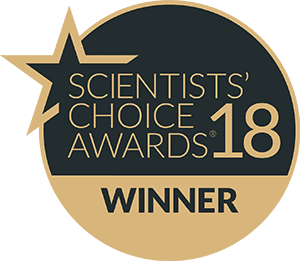 The serum provides growth factors and other stimulatory signals necessary for cell growth and replication and has been shown to assist in SmartFlare™ probe uptake. The affect of serum on cell growth is demonstrated in Figure 8, where MCF-7 cells were treated with two different SmartFlare probes in the presence of different concentrations of serum. With increasing serum concentrations the number of cells increases, as well as the fraction of cells exceeding the threshold for fluorescence intensity of either 18S or GAPDH. While both the 18S ribosome and glyceraldehyde 3-phosphate dehydrogenase enzyme are constitutively expressed, the degree to which they are expressed varies in relation to cellular growth rate. Figure 9. Subpopulation analysis of Images of MCF-7 and SKBR- 3 cells treated with SmartFlare probes. 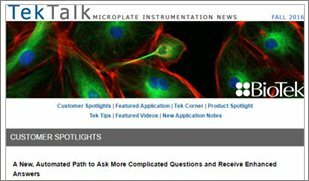 Mixtures of MCF-7 and SK-BR-3 cells were analyzed using Gen5 subpopulation analysis tools. MCF-7, SK-BR-3 or a 50/50 mixture of the two cell lines were seeded at 30,000 cells per well and treated with CY3-GAPDH and CY5-ERB B2 SmartFlare™ probes. After a 16 hour incubation cells were stained with 5μg/mL Hoechst 33342 for 15 min at 37°C cells were imaged with the 20X objective using the DAPI and CY3 and CY5 LED cubes. Population analysis of DAPI stained objects was used to indentify CY3 and CY5 positive cells. Data is expressed as the fraction of CY3 or CY5 objects and represents the mean of three wells. CY3- and CY5-labeled SmartFlare probes can be multiplexed within the same experiment to test for the expression of two different RNA species within the same cell simultaneously. When mixtures of MCF-7 and SK-BR-3 cells are treated with probes to ERBB2 and GAPDH simultaneously cellular analysis of CY3 and CY5 signals demonstrates the marked difference between the two cell lines. Under the culture conditions used the fraction of cells positive for GAPDH (CY3 signal) is virtually 100% regardless of the mixture of cell lines. When the fraction of cells positive for ERBB2 (CY5 signal) is examined, the fraction of positive cells is significantly lower in MCF-7 cells compared to that present with SK-BR-2 cells (Figure 9). 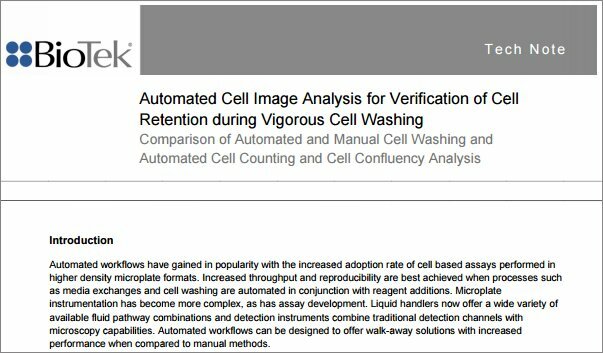 The quantitative data is confirmed by images of live MCF- 7 and SK-BR-3 cells treated with two different SmartFlare probes. Cells were treated with a CY5-labeled probe for ERBB2, and CY3-labeled probe for GAPDH and then stained with Hoechst 33342. These images show only low levels of expression of ERBB2 RNA in MCF-7 cells and high expression in SK-BR-2 cells (Figure 10 (upper panels). The same cells show equivalent amounts of expression of the housekeeping gene GAPDH (Figure 10 lower panels). In separate experiments the relationship between the levels of ERBB2 RNA and EGF receptor were investigated. MCF-7 and SK-BR-3 cells were treated with a CY5-labeled ERBB2 probe for 16 hours and then stained with an Alexa Fluor 488 tagged anti-EGF receptor antibody (EMD Millipore) and Hoechst 33342. Despite the presence of low amounts of RNA expression, very little EGF receptor is observed as measured by green fluorescence on the cell surface of MCF-7 cells. SKBR- 2 cells exhibit antibody binding on the cell surface in conjunction with CY5 ERBB2 RNA fluorescence (Figure 11A). Figure 10. Specificity of SmartFlare probes with Live Cell Imaging of MCF-7 and SK-BR-3. 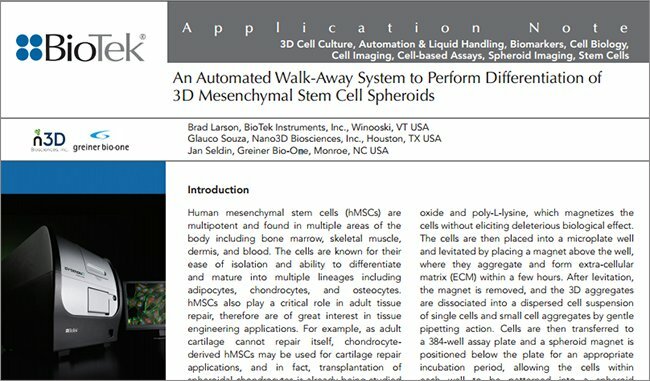 MCF-7 or SK-BR-3 cells were seeded at 30,000 cells per well and treated with CY3-GAPDH and CY5-ERB B2 probes. After a 16 hour incubation cells were stained with 5μg/mL Hoechst 33342 for 15 min at 37°C cells were imaged with the 20x objective using the DAPI and CY3 and CY5 LED cubes. 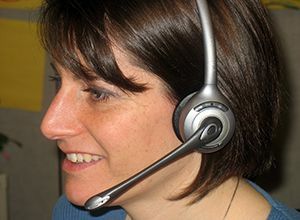 Note that cell images are the same cells with different signals overlayed. SmartFlare™ probes bind to short (27 nucleotides) specific sequences, which would not be expected to alter translation. These data confirm this, as Figure 11B demonstrates that the lack of expression of EGF receptor in MCF-7 cells is not the result of the SmartFlare probe. In live cells stained with Alexa Fluor 488 labeled anti-EGF receptor antibody MCF-7 cells demonstrate virtually no green fluorescence, whereas SK-BR-2 cells have significant amounts of cell surface fluorescence. 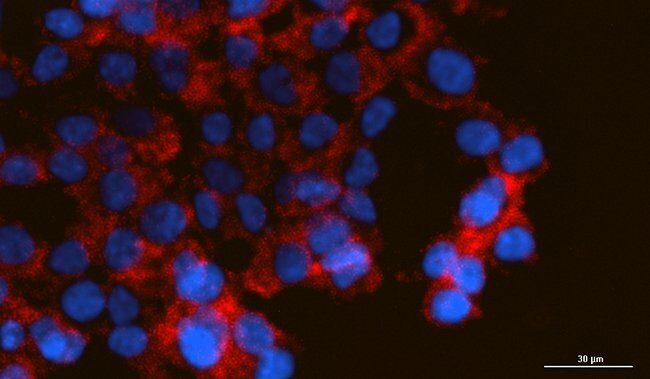 Equivalent amounts of Hoechst 33342 staining indicate similar numbers of cells for both cell lines. Figure 11. Anti-EGFR antibody staining of Live MCF-7 and SK-BR-3 cells. An Alexa Fluor 488 labeled anti EGFR antibody was incubated with live MCF-7 and SK-BR-3 cells and then imaged. In separate experiments cells were (A) exposed or (B) not exposed to a CY5-SmartFlare probe to ERB B2 for 16 hours prior to antibody staining. 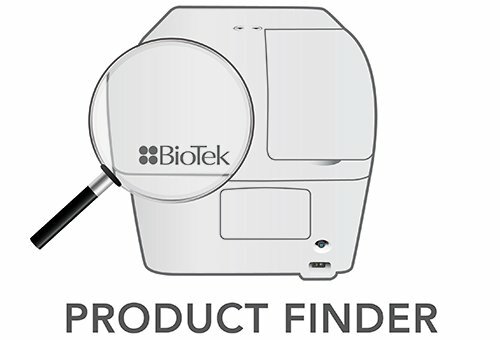 These data demonstrate that the Cytation™ 3 Cell Imaging Multi-Mode Reader is capable of detecting mRNA in live cells using SmartFlare™ RNA Detection Probes. 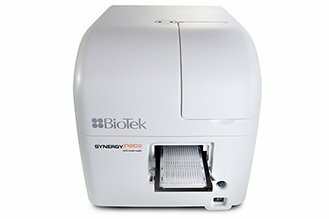 This combination of imaging microplate reader and fluorescent RNA probes allows the researcher to garnish quantitative and qualitative information from live cells in response to external stimuli. Treatment of cells with uptake (positive) and scramble (negative) control probes, along with probes specific to constitutively expressed housekeeping gene RNA demonstrates the utility of imaging SmartFlare probes with Cytation 3. When multiplexing CY3 and CY5 detection probe combinations, signals can be specifically distinguished using either whole well PMTbased determinations or with image analysis. 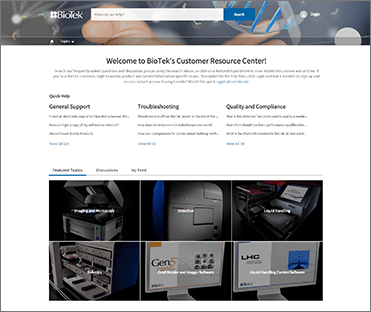 Using this hardware reagent combination MCF-7 and SK-BR-3 cell lines were assessed for levels of ERBB2 specific RNA. Costaining with a labeled antibody against the cell surface EGF receptor and a SmartFlare probe for ERBB2 RNA in SK-BR-3 and MCF-7 cell lines, confirms the specificity of the technology. 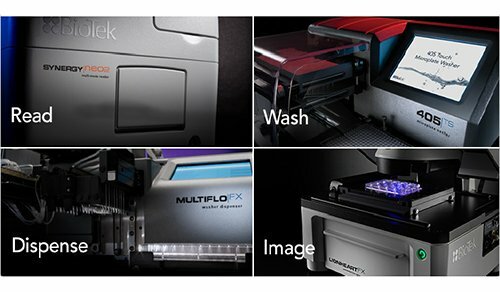 The Cytation 3 Cell Imaging Multi-Mode Reader has a number of features that enable live cell imaging. Four separate LED positions allow for multiplex fluorescence imaging using a number of different magnification microscope objectives, any two of which can be present in the reader concurrently. 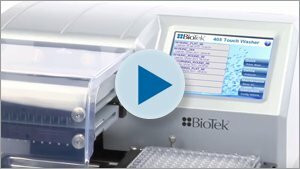 Gen5 software, common to other BioTek microplate readers, has been augmented to provide autofocusing of cells in microplates, capturing of images with both automatic or user defined parameters (LED intensity, CCD gain, integration time, etc.) 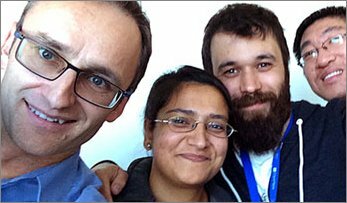 and cellular analysis algorithms that allow for cell segmentation and cell counting. An optional gas controller (CO2 and O2) and built in temperature control allow long term studies and time lapse videos. 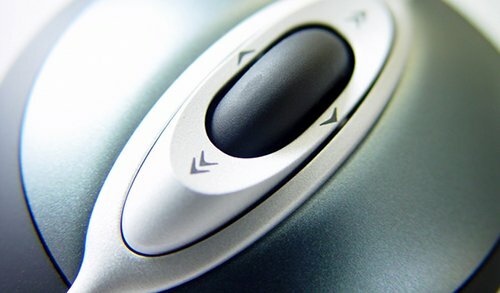 The Gen5™ software used to control reader function is also capable of significant automated image analysis. As demonstrated in this treatise, the fraction of positive cells for CY3 or CY5 fluorescence changed with serum concentration when housekeeping gene probes are used. Similar experiments with other mitogens such as GPCR ligands are possible using the same type of analysis. Likewise, cell type specific expression can be identified by examining different cell lines with the same detection probe. 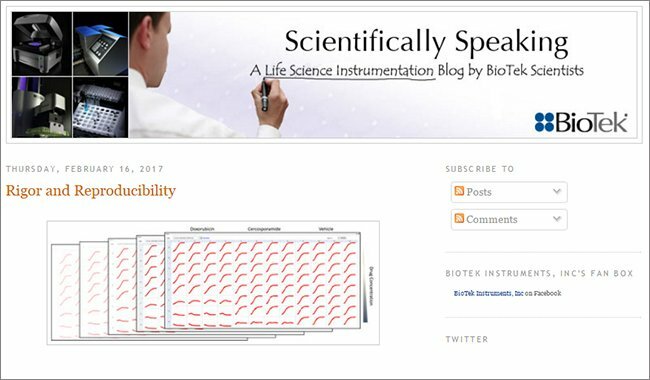 SmartFlare™ Detection probes have been designed for the determination of RNA in live-cell based experiments in real time. 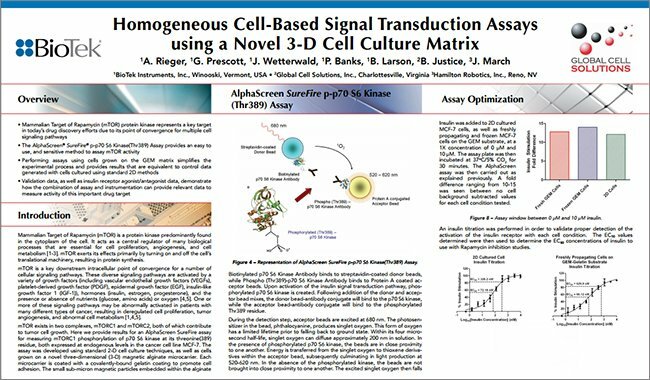 We have shown that the probes can be used with several different human cell lines. 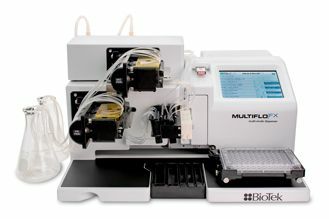 They are available with two different fluorescence labels, enabling simultaneous multiplex determination of multiple RNA Targets using the Cytation™3 Cell Imaging Multi-Mode Reader. 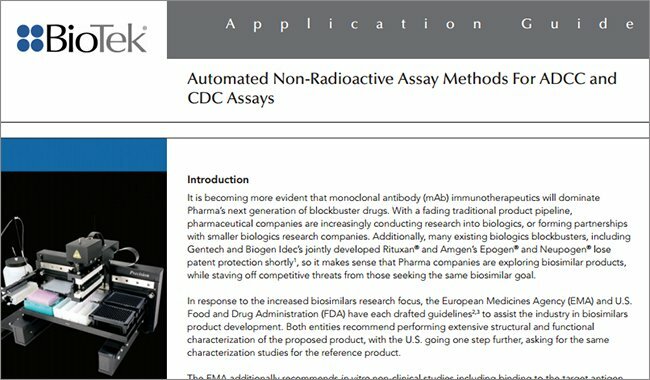 Fixed activity probes (negative and positive) are also available for use as controls that can be run as an internal control or run in parallel to provide experimental confidence. Because the probes are transient in nature their use does not preclude downstream experimentation on the same cells. 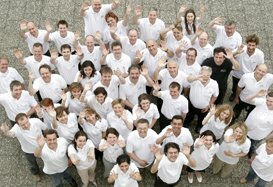 SmartFlare™ is a registered trademark of EMD Millipore Corporation.